East River Flats Park	The park lies just below the University of Minnesota and is one of the few opportunities within the Mississippi Gorge to view the river 25 feet below the limestone bluffs. Site of the boathouse for the U of M’s women’s rowing team. Name: In December 1894, upon the suggestion of William Folwell, the board approved naming the east river flats “Cheever’s Landing,” for the man who had operated a ferry on the site in the early days of the city. 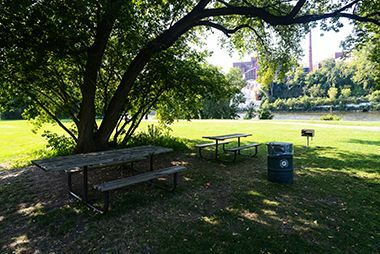 While the name was officially adopted, the area has always been referred to informally as the East River Flats Park. 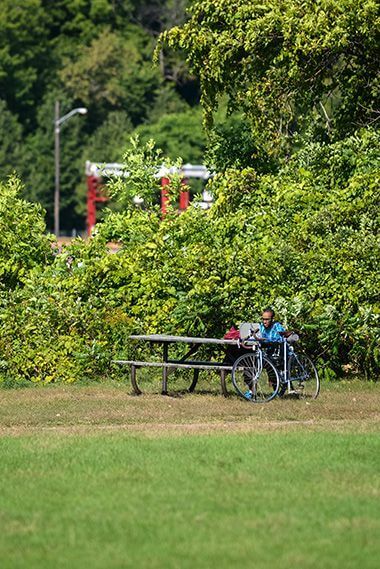 Despite the best efforts of the park board, Cleveland’s vision for the east river bank would not be realized for nearly a decade. Despite the imminent loss of land at the east river flats to the reservoir created by the dam, the park board commissioned landscape architect Warren Manning to develop a plan for the layout of the east river park in 1899. 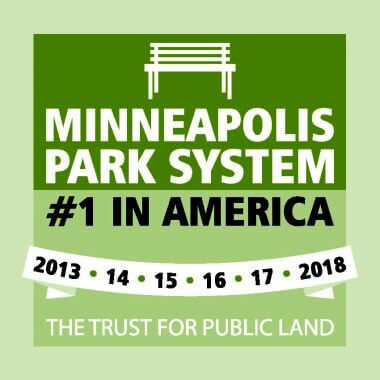 Manning noted in his report on the park system in 1899 that he had submitted plans, which were being executed, to create a large central playground for the city on the river flats with an exercise track, gymnasium, bath house and boat house. 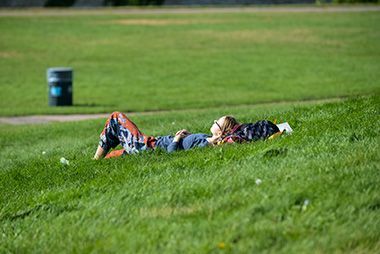 The park board allocated $3,000 for the improvement of the park and later that summer approved the construction of a stone walk along the parkway from Oak Street near the university to Franklin Avenue with the cost to be assessed on property in the area. The playground that Manning proposed was never built. 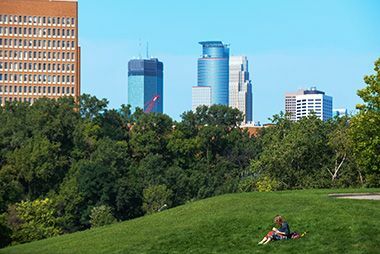 The East River Flats were leased to the University of Minnesota for a parking lot in 1949 and the original ten-year lease was renewed until 1976. The flats were used as a concert venue in the late 1970s and permission was also granted to the university to use park land to access its Showboat. East River Flats is just off the East River Parkway - stop at the park while riding! 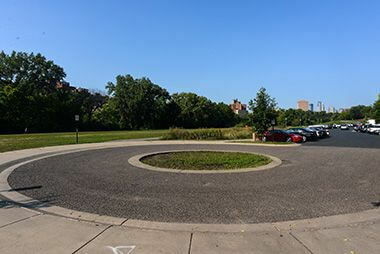 Park at East River Flats to spend a day along the Mississippi Gorge Regional Park. Get right next to the Mississippi River. 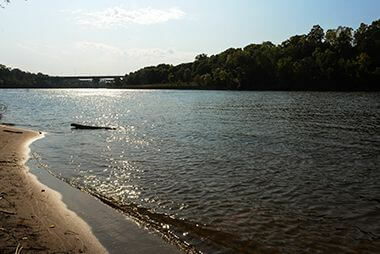 Take a break along the Mississippi! 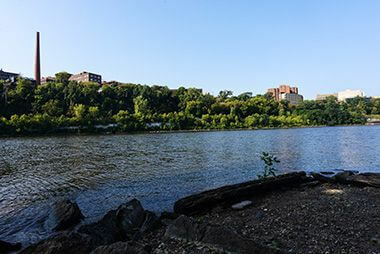 East River Flats is just south of the University of Minnesota East Bank campus. 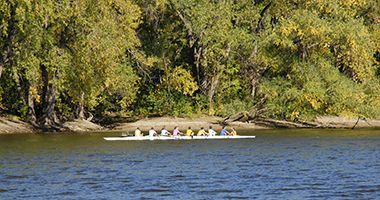 The park is the site of the boathouse for the U of M women’s rowing team. 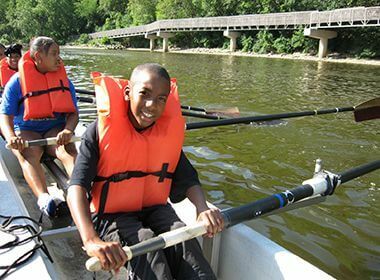 Sign up for rowing classes! 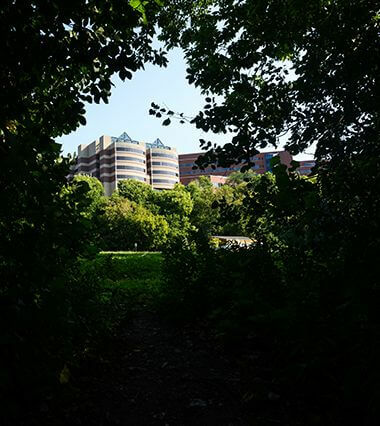 Just across the river is the West Bank of the Minneapolis campus. Just across the river, past the Cedar-Riverside neighborhood, is downtown.